Dave was the President & Founder of Shiny Entertainment. Shiny earned both critical and commercial success. Dave Started programming at 15 years of age, he started writing computer game programming books . Since then, David has developed many games (a lead programmer for most of them), Dave has developed for 23 video game platforms. All told, Perry’s games have totalled more than $500 million in sales. Thank you for this interview, it is an honor for me to interview such a legend. Earthworm Jim and Cool spot are two of my favorite Games on the Genesis/Megadrive. My mother wanted me to be a dentist, so that’s the course I was headed. I then became very interested in being a pilot and as airplanes had gone Supersonic with Concorde, that was the ultimate goal. “How the heck do I become a Concorde Pilot?” I studied hard, but had a very sad day when I finally got to go into the real Concorde Cockpit, and as I’m 6’8” tall, I didn’t even slightly fit. So (after banging my head around for a while) my hopes and dreams were dashed, but I had no idea my real calling would be programming video games. Recently I bought a 4’ wooden model of Concorde so it’s actually still a fond memory. I asked to get into the computer lab at school, but wasn’t old enough, so I returned when I was allowed (I had more patience back then) and the first thing they showed me was a Sinclair ZX81, beside it sat an Acorn Atom. I started programming BASIC on the ZX81 and got lost down the rabbit hole for years. I feel programming is a bit like Photography or Art, you never actually get there, you’re always learning and improving, so I was addicted. My mother handed me the cash one day to get a Sinclair ZX81 with a 16K Ram Pack and a Sinclair Printer, and that unleased me. Now I’d be programming to 3AM. She also got me a little black and white TV and a cassette recorder, so that “Workstation” became the center of my entertainment universe. I think the SEGA Genesis/Megadrive hit a sweet spot, they had done so much really well that I fell in love with the hardware and their strategy. I thought I had a great relationship with Nintendo, but was bummed when I saw them making cartridges for their own games that were bigger and cheaper. It made their platform unfair and it made me even more loyal to SEGA. So my perspective was a bit skewed as I was looking at it from a developer’s angle. Why did you choose to make your first games on 8-Bit computers and not on 8-Bit consoles such as the NES or Master System? Growing up in the United Kingdom, we just naturally had access to more devices with keyboards than consoles. I personally had access to a ZX81, ZX Spectrum, Acorn Atom, Research Machines 380Z, 480Z, BBC micros but no consoles. My first published games were written in BASIC on the ZX81, they were published in a magazine called the NATIONAL ZX80-ZX81 USERS CLUB. The “magazine” was really pieces of paper held together with staples and they paid me 450 pounds for the games they printed. It was life changing. Once I started making money from the games, I couldn’t sleep and wrote so many I ended up getting offered a chapter in a book by Tim Hartnell, and finally my own book. At school I had a backpack filled with sweets which was a little ironic as I’d wanted to be a dentist in my past life! What was the first game you ever programmed, please describe the experience? My first games were thing like “Zombies” where they chase you around. Drakmaze was actually my big break, Mikro-Gen offered to publish it on cassette tape. During that process they also offered me a full time job for 3,500 pounds a year to go and live in England. I was living in Northern Ireland at the time, but (unfortunately or actually fortunately) my parents separated. My mother moved to England near where the job offer was, so I moved to England and finally got a foot into the real video games industry. Pyjamarama on Spectrum is such a funny title. Where does it come from? When I arrived at Mikro-Gen, I thought I knew how to make games, but I was really just an amateur. 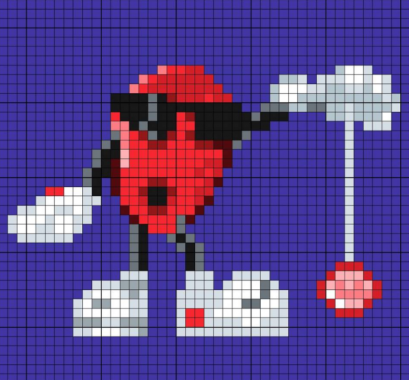 They had a guy called Chris Hinsley that had made a game called Pyjamarama, and they asked me to convert it to Amstrad CPC. This was so enlightening to see “real” professional code, and I felt like Neo in the Matrix, just downloading as much knowledge as fast as possible, before they sent me back to Northern Ireland. How many copies of you first game (Drakmaze) did you sell? You have programmed on many computers such as The Amstrad CPC and the ZX Spectrum, which did you prefer to work with and why? My favorite computer (by far) was the Sinclair ZX Spectrum and I was so happy the day I got to meet Sir Clive Sinclair. My grandmother felt she was at the end of her days and took me aside. “David, all I own is lots of silverware and furniture, I want to leave you something useful, and she handed me two hundred pounds cash.” I used that money to buy my first ZX Spectrum, and so she effectively handed me the ticket to my career for many years. Would you consider programming a game for the Spectrum Next? If I was retired I wouldn’t hesitate, however I’m a dad and the CEO of a company and have little time to invest. When I’m retired, I can’t wait to get back to programming. How did you end up working for Virgin & what was your first project at Virgin? I teamed up with an amazing artist called Nick Bruty and we kept making games for a guy called Fergus McGovern at Probe Software. 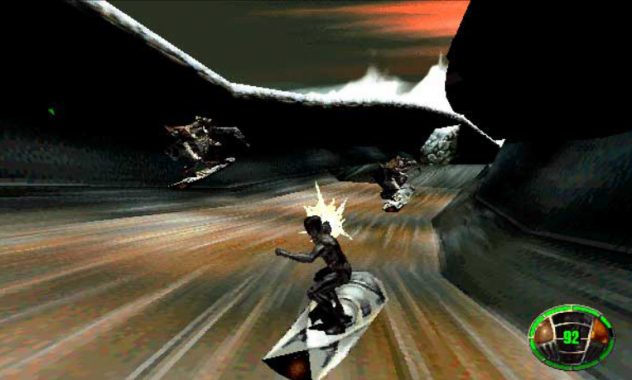 We made a game for Virgin called Dan Dare III on Spectrum based on a game Nick and I were creating called Crazy Jet Racer. 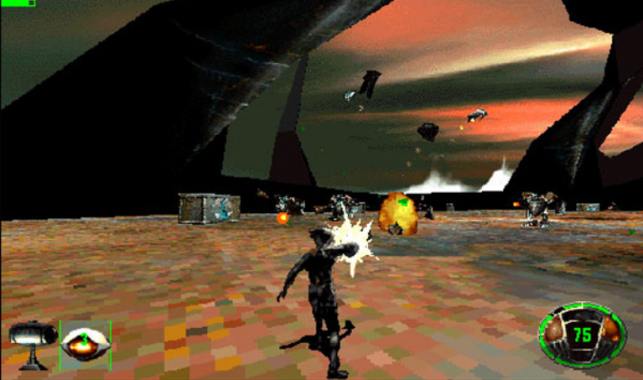 We then made an original Amiga game called “Supremacy” (Overlord in the USA) and Virgin licensed and published it. Next was The Terminator for Genesis and that lead to an offer from Martin Alper the CEO of Virgin Games to fly to California and work full time for them. Was it easy to fit in at Virgin? Who was the first person who made you feel welcome? The British developers that welcomed me to California were Mark Kelly and Steve Crow, they were really respected Nintendo NES developers and they introduced me to the area and helped me find my first rental apartment near the beach in California. What was the first game your programmed at Virgin? Which tool did you use to develop it, and what issues did you have? The first game when I arrived in America was Global Gladiators. We had so much fun making it and I got to work with some really talented people like Mike Dietz for Animation, Bill Anderson for Levels and Tommy Tallarico for music. The game won several major awards from SEGA and really put us on the map. That said, McDonalds hated it as we didn’t have enough Ronald McDonald in there! Virgin had many hits including Cool Spot and Aladdin. What was your favorite to work on? I think Global Gladiators was one of the first brand-based games, and Cool Spot took that to the next level where there was no apology, this was definitely a 7-UP game. You surfed in on a 7-UP bottle! After Global Gladiators we actually started developing Jungle Book for Disney, I was very excited by the progress on that, our animators were just killing it and we had a background artist called Christian Laursen who was a rockstar. Aladdin was an emergency “all hands on deck” project from Sega and we ended up pivoting over to get that out in time with the home video release. Considering the incredible time pressure (I remember sleeping in my car), having Disney do the hand drawn animation was an incredible scoop. How was the concept of Cool Spot born? Does the game idea come from 7-UP? In most cases (including Cool Spot) it was 100% up to us, the big brands generally have very little interest in the actual game design. Cool spot was a fun combination of really cool animators and Tommy Tallarico pushing the audio hard. It should be noted that we did a lot of development based on what we liked, so we played with the code, found what we liked, built levels around that and a game emerges. When you developed for the Genesis/Megadrive what tools did you use to develop these games? We used tech from a company called SN Systems, they made it pretty much effortless to make games (using based PC computers), and I don’t think SN Systems ever got the true love that they deserved. I was a big fan of Andy Beveridge and Martin Day. Why did you choose the MD and not the SNES to make your games? I had to keep learning new programming languages as platforms kept changing, Z80 Assembly Language, 6502, 68000 and I was living in a world of intense competition. That all meant you needed to REALLY learn each language. As I started that round of consoles on Megadrive after Amiga and Atari ST, I was feeling very confident with my 68000 coding. Today you have websites for everything, for example: https://www.reaktor.com/blog/crash-course-to-amiga-assembly-programming/ Remember during my career there was no internet, so a lot more head scratching and trial & error! I found myself getting influenced by super talented people on YouTube and buying things they recommended, this lead me to join a startup as their CEO to see if we can develop technologies for these kinds of influencers. Imagine everything their fans could ever want in one place, mission control effectively. We’ve been researching now for several months and it’s a fun diversion but truthfully there’s a lot of gamer influencers, so I’m not technically “leaving” the game industry, just stepping into the fringes of the bleeding edge. Stuff I think that will matter a lot in the future. What would you like to see on the site and features or interviews maybe Tommy Tallarico? What was it like working with him? Do you stay in touch with many of the Virgin Team? From time to time we see each other, and it’s so fun when we do, as we’re all getting old! Everyone has their own career and it’s interesting to see how different all the paths are that we chose. When and why did you leave Virgin and how did Shiny get formed? Around October 1993, I was offered a job by SEGA technical institute to work with Yuji Naka (Sonic the Hedgehog), that was actually super-tempting, at the same time I was offered a job at Playmates Interactive (they made the toys for the Teenage Mutant Ninja Turtles who were massive at the time), and so I meet their CEO and proposed he would fund Shiny Entertainment and we would build games for Playmates Interactive. Most of my previous team also left Virgin, so it was an exciting time. The amusing part is we had no idea what we would make! 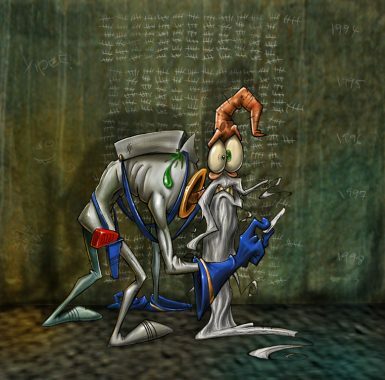 Did you think Earthworm Jim would be such a Massive hit please enlighten us how the idea come together and a bit about the development side? 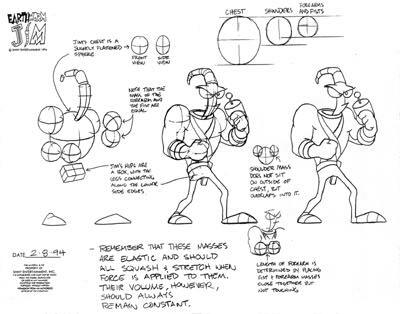 One of our team members recommended we considered an animator called Doug TenNapel, and we gave him a test to make a character animate. He came in with Earthwom Jim. The timing was perfect as we needed to get started on a game and we loved this character. 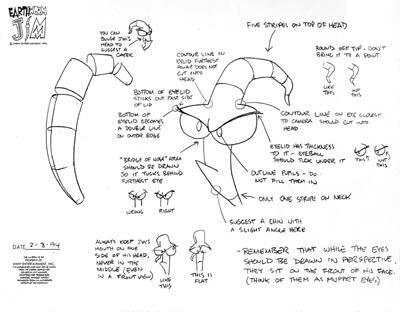 Our animation director Mike Dietz was a big Tex Avery fan and I think that influence lead to a very fun style of animation where Earthworm Jim would get punished quite a lot. We didn’t have a design document, we just experimented and built levels and that’s why the game feels so insanely random, you literally have no idea what the next level could be. How did the Cartoon Series come about? We really wanted a cartoon show, but Universal Cartoon studios was clear, no toys = no TV show. So we had dinner, myself, the head of Playmates Toys and the head of Universal Cartoon Studios. Because everyone agreed to work together, the TV show could finally get a green light. That’s why we also got toys! For me personally it would have been Earthworm Jim. 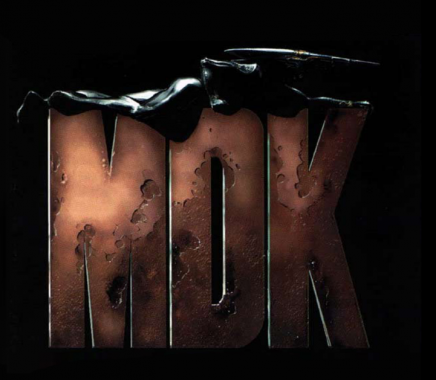 For our team it would have been MDK, it was the first game with a sniper rifle and because it was cutting-edge 3D, it was licensed to put on endless PC’s even the first Apple iMac came with MDK. Imagine selling your game, then getting paid for every PC multiple companies make, every video card from Nvidia, every joystick from Microsoft etc. We’d learned there was a lot more money in licensing games than selling games. How was your relationship with Sega at the time? How Sega helps you to develop games, if they helped. During the development of Aladdin, were you informed of the SNES version made by Capcom. What is your opinion about this game? If you compare both games, what is their respective qualities and defaults? I didn’t really understand why there was a different version on SNES, but we just made our own game for Genesis/Megadrive. Capcom were an amazing company so they were a good choice. Western games at the time tended to have the idea of lives, the Japanese games tended to push for “Continue”. It was a big cultural change, I preferred lives as it forced you to really master the game, but I have to say that over time as games got bigger, I don’t miss the “Lives” concept. I think as a society we are getting less patient and I can’t imagine having to restart Call of Duty when I lose 3 lives. What was the budget to create Cool Spot, Aladdin and EWJ? How many people use to work on those titles? 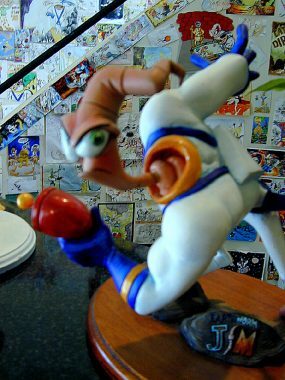 The (people & time) budgets were relatively low for Cool Spot and Earthworm Jim, but Aladdin had animation made my Disney Feature Animation in Florida, so that was by far the most hands on a game, if an accounting was done it would have been one of the most expensive games at that time. It was a game made working closely with Disney and because Jeffrey Katzenberg was fully supporting it, the impossible became possible. Good question. Hmmm…. I was designing a game I never got to make at Atari called “PLAGUE”, it would have been the most expensive “In-House” game because it was around $17M. Enter the Matrix was the most expensive game I worked on, we worked with Warner Brothers and the Directors of the movie and they shot over an HOUR of exclusive Matrix footage for the game. I never saw a final price (including all the Warner costs), but for it’s time it was probably the most expensive video game to that date. I seem to remember the live sets were around $600K per day. You were in charge of the adaptation of Enter the Matrix for Infogrames? 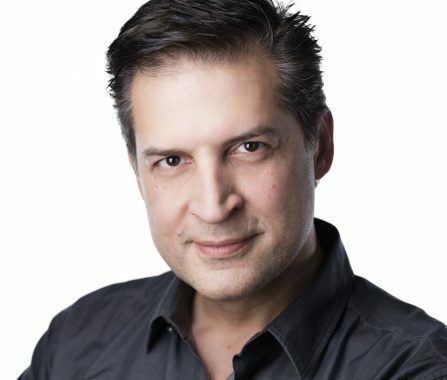 In What circumstances did you meet Bruno Bonnell and why have you been choose to make that game? The Matrix directors liked the game we made MDK, and wanted us to make their Matrix games. Joel Silver made the deal happen and we started work. Interplay would be the publisher but couldn’t afford to really support such a big game. 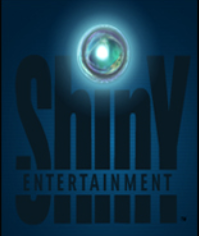 Atari (Bruno Bonnell) stepped in and bought Shiny Entertainment and the Matrix games, so we got to publish through Atari. The quality of this title was not as expected by the fans of the movie. Do you have any explanation? We bit off way more than we could handle, with a movie deadline that couldn’t move. We had to make a new game engine for PC and Gamecube, we also had a follow a story thread in the movie for Niobe when players really wanted to be Neo. This is why we made the game “The Path of Neo” as a sequel, to give the fans what they wanted. (We should probably have turned down the project, but we actually did turn down the first Matrix movie and that was probably the dumbest decision I’ve ever made.) Well, one of them. Do you have particular anecdote you can reveal to our readers. The game industry is now wide open, there are online courses on every subject and people all around you wanting to make games too. Start a team! Make a game! It’s an incredible career. I’m bummed we never made the PLAGUE game for Atari, I was very excitied about that, it was back to the roots of Shiny meaning new things you’d never seen before in a game. I have consulted on some big games and I found the same thing, they would test the game, the gamers would say what they didn’t like and the team would just say “that’s too big a change, we have a deadline, it is what it is.” It’s a bummer to see a team make a massive project and not have the time to listen to the gamers. Nobody wins.